High-performance audio/video gear needs to stay cool. High-performance audio/video gear needs to stay cool. It's important not only for optimal performance, but to prevent damage to sensitive electronics. The ATM Cool-rack III features three whisper-quiet fans that move lots of air. A built-in sensor turns these fans on when the temperature inside your rack reaches 90 degrees. The sensor is programmed to turn the fans off when the temperature drops below 85 degrees. You can also adjust that setting to a lower temperature. 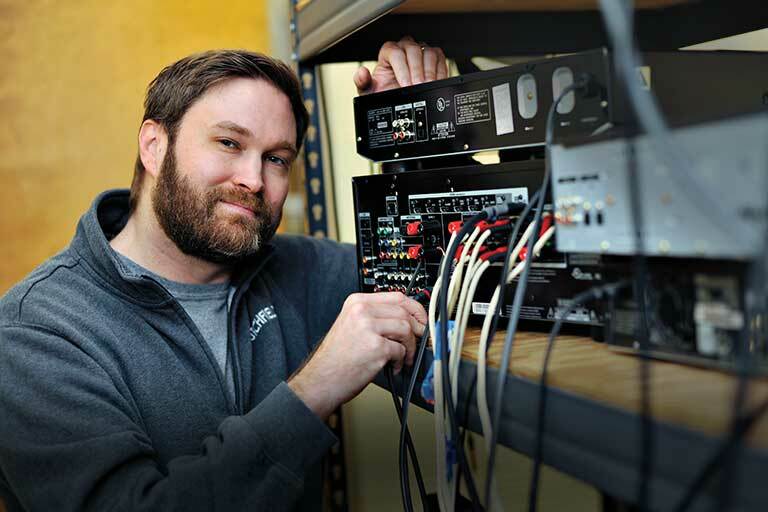 The Cool-rack III mounts in a standard audio rack, and comes with its own AC power adapter. Overview: The ATM Cool-rack III fan system is designed to ventilate and cool mid-size to large equipment racks. 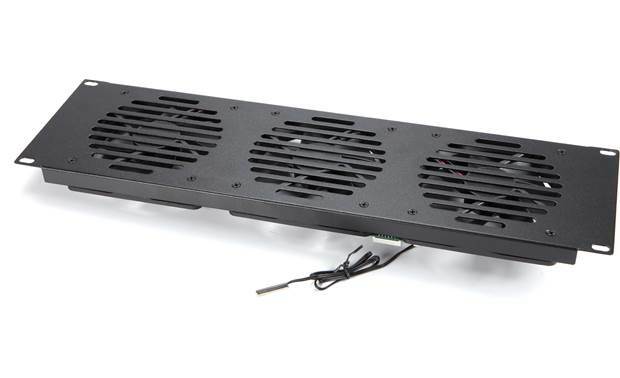 Fans: The Cool-rack III features three 120mm (4.73" x 4.73") fans mounted to a 3U high protective metal plate with vent slots. The fan assembly is capable of maintaining a 120 CFM (cubic feet per minute) air flow, while generating very little noise. The Cool-rack III can be mounted on the front or rear rails of most equipment racks, with a rear-mount being the best choice if the front of the rack either doesn't have 3U of space or there's a door. If rear-mounted, a 1U or 2U vent panel should be mounted as low as possible on the front rack-rails, allowing a stream of air to pass over the equipment before being exhausted by the fans. 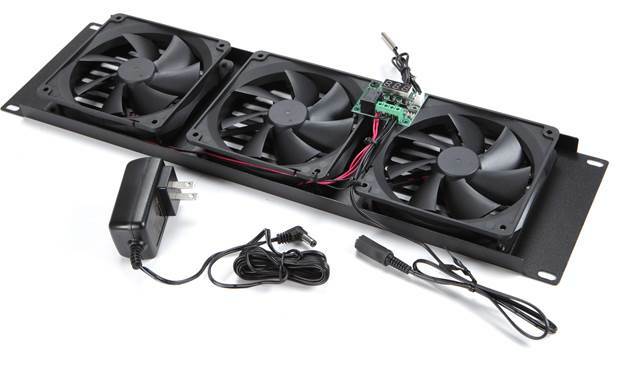 The fan assembly includes an attached 22" power cable that plugs into the included 6' AC power cable. 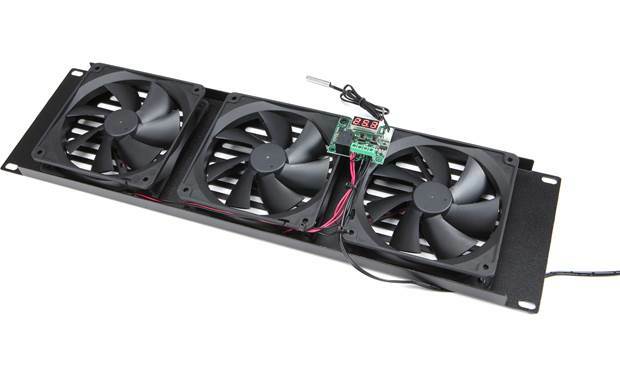 Overall Dimensions: Width = 19.0", Height = 5.250", Depth = 1.750"
Searches related to the ATM Cool-rack III Rack-mounted high-volume cooling fans.